Cats are clean, but they are also animals. Potty time for cats is done in a litter box that contains litter. The characteristics of cat litters include it trailing the cat and getting outside of the litter box. A cat litter mat is designed to collect cat litter in one place and avoid tracking it all over the place. Although the cat litter mat has a singular purpose, that is to trap litter, there are features and functions that are vital in making the cat litter mat a great buy. The buyers guide below contains the comprehensive knowledge you will need to get the best cat litter for your kitty. As you read further down, we have done the homework for you and found ten great cat litter mats which we have reviewed. This section enumerates on the factors to consider when buying a cat litter mat and the indicators that you have purchased one of the best cat litter mats. Lastly, a summary of the checklist you need to arm yourself before going shopping. These factors are the first things to note, understand and decide before choosing the cat litter mat to buy. The type of cat litter used are preferential to cat owners as well as their cats. Cat litter type can be broadly categorized into clumping and non-clumping types. You will find clay, paper, pine, crystals, pellets, wheat, corn, and many others. The type of litter you use will inform the size of the litter. Obviously, clay cat litter is smaller in size than crystal or pellet type of cat litter. The cat litter mat is designed to collect litter through holes and trap them until they are disposed of. So, you have to compare your cat litter size to the holes of the cat litter mat you settle on purchasing. If the holes or mesh hollows of the cat litter mat are smaller than the individual cat litter size then there will definitely be no catching of litter. The design of the litter box also determines the kind of cat litter mat you should get. Based on the way your cat enters or climbs into its litter box. There are litter boxes that have high raised edges and others low raised edges. Front entrance, top entrance, the ones that are covered and the ones that open automatically as soon as it senses the cat's approach. The litter boxes with front entrances or low raised edges have the tendencies to allow more litter spewing out of them. This is because the openings of the cat litter boxes are closer to the ground. For these type, having a large cat litter mat with large holes will be preferred. You can use standard size cat litter mats for the other opening design. You must factor in the size of the litter box and the area you want the mat to cover. This is important because cat litter mats are of various sizes from small, medium, large, extra-large and jumbo size. Your cat litter box should be able to seat within the cat litter mat. If you do not measure, the space you want to cover with the cat litter mat and compare to the size of the cat litter mat you want to buy, then you will have a problem on your hand. Also, the material used to make the litter mat may not be flexible to allow you to cut out of it. If you buy a cat litter mat made with foam, you can cut it up to the desired size, however, you cannot do that with a plastic cat litter mat. Cats are similar to humans in their life stages. Kittens, young adult, adult and elderly are the life stages of a cat. With each life age, there are age and health limitations and challenges. Kittens have not yet mastered controlling potty training so they tend to have accident often. So, you need a waterproof and urine proof cat litter mat for that age. Older cats are prone as well, also because of age and sickness. 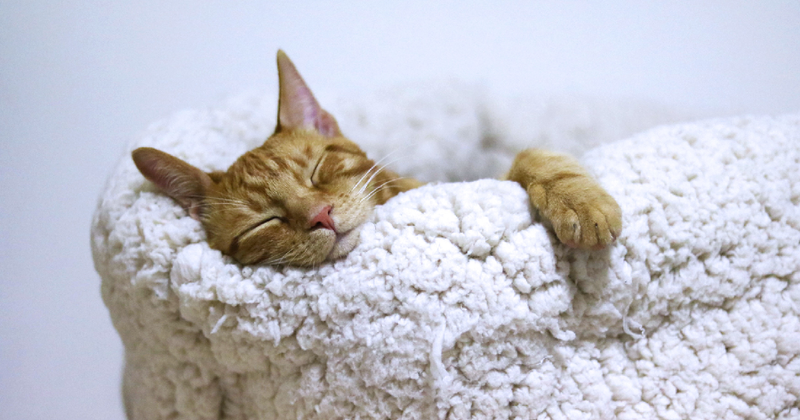 Sick cats may not have the strength to potty properly and just spray urine all over. So in such cases, large cat litter mats will be beneficial for the elderly cat stage and the sick ones. Some cat litter mat are pricey, while others are quite cheap. The things that influence this variations are, design, brand, material and demand. Regardless of all this, consider your budget for purchasing a cat litter mat. Endure that you pick a cat litter rug that indeed tracks litter. You should get good value for your money. This is the first factor of a great cat litter mat. The purpose of the cat litter may is to track and trap litter from spreading around your house. Features like holes, grooves, double layers, mesh and the likes help the cat litter mat to the its job.So, if your cat litter mat is not doing this, then throw it out. To even go a step ahead, you should invest in a cat litter mat that not only tracks litter but draws and captures litter from your cats paws and hairs. Long haired cat, gets litter entangled within their long haired coat, so cat litter mat that grabs and pull litter off their hair will be ideal and effective. A cat litter mat that is easy to clean saves you time and energy. So go for cat litter mats that are flexible in its cleaning options: shaking, sweeping, vacuuming or rinsing off. However, it is advisable to follow the cleaning instruction stated so as to not damage the cat litter rug. Cat litter mats will be walked on by your cat, so you should pick a litter mat that will be comfortable to your kitty’s paws. If the cat finds it irritating or painful to walk on the cat litter mat, he will probably walk around it or avoid it totally. This can be disastrous if the litter box can only be accessed by walking over the cat litter mat. You will find that the cat will be doing his business in other places apart from the designated litter box. Big in the case of cat litter mat is always best. That means you get more coverage and capture more litter. It will be frustrating if some litter keeps getting on the floor because the cat litter was not big enough. The rule is that as long as your cat can’t just step over the cat litter mat when getting out of the litter box but have to walk some steps on the litter mat then your sizing is on point. 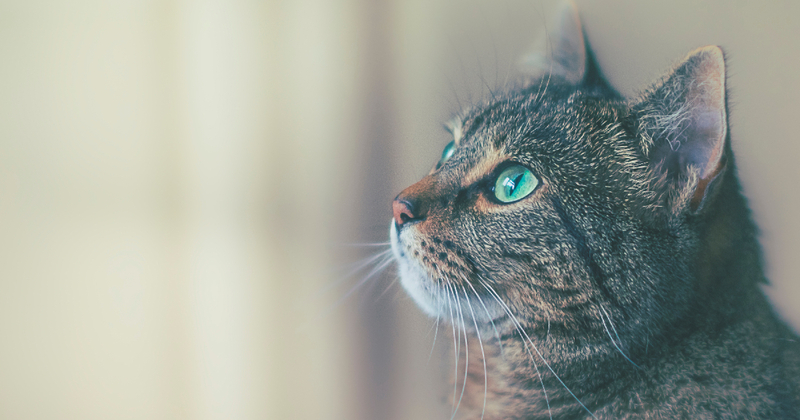 You should ensure you buy a cat litter that is safe for your cat. It should be BPA free when you buy a cat litter mat made of plastic. Also, phthalate can be harmful to your cat, you and the environment when found in polyprene or other plastics. Check that the cat litter mat is phthalate free as well. A great cat litter mat can have waterproof and urine proof lining which prevents liquid from seeping through to the base and damage your flooring. You can also find cat litter mats with anti-slip or rubberized backings that keeps it stable wherever it is placed. You would not want to come home and find the litter mat in the middle of your kitchen. A great litter mat must be one that you can use for a long time. If you have got the other boxes correct but if you picked a litter mat that will be worn down or scratched to bits in a month or two, then it is like you wasted all your efforts of careful selection in the first place. The material used and design, all combine to determine how durable a cat litter mat is. Also, weight can also make a cat litter mat last longer. When the weight of the litter rug makes it difficult to shift or displace by your cat, then you picked a winning litter mat that is durable. We went through a lot of information above, but here in points are the highlight of how to choose the best cat litter mat that you and your cat will be happy with. Note the litter type and size you use for your cat..
Measure the coverage area that will be adequate enough to control litter. Read reviews of those who have used the product and brand. Confirm that it is cat approved, paw sensitive and safe for your cat. The heavy litter mats are always better than the light weight, so check that. 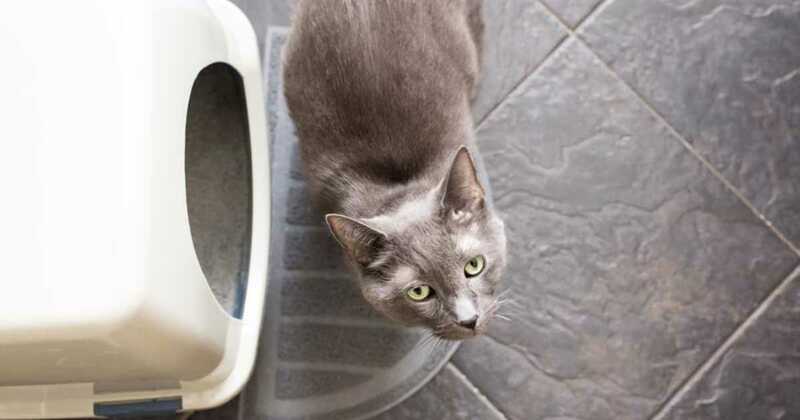 Pick a cat litter mat that is easy to clean, that will save both time and energy. After all the consideration. Go for it. Buy as many as you think is necessary. There is no harm putting a litter mat at door entrances where your cat uses. Now that you are armed with knowledge of what makes up a great litter mat, let’s show you what we found in the market. We’ve picked a list of ten cat litter mats that we reviewed. You will definitely see some that checks all the boxes for you in this list. You get two litter mats for the price of one. Everyone loves a bargain like this. This is perfect for a multiple cat home. You can use the second cat litter mat as a doormat if you prefer. If you have messy cats you can also use this litter rug as a food or water placemat. 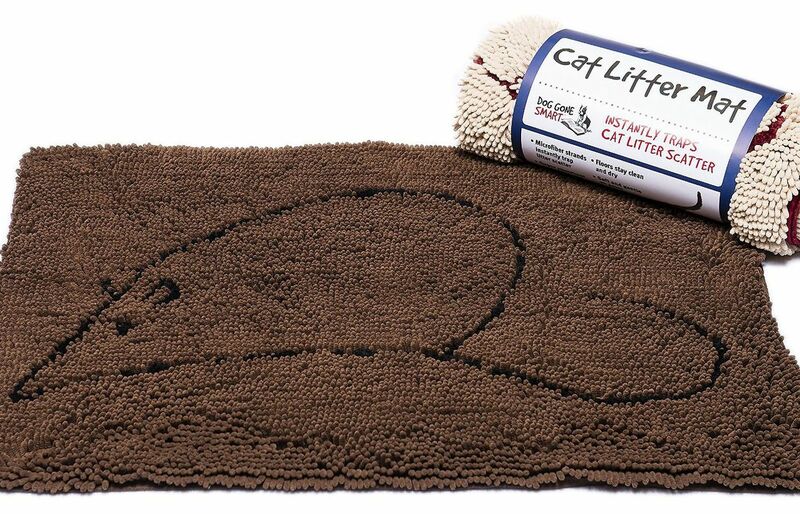 No more cat litter tracking in your house with this heavy-duty litter mat. No more muddy paws in the house as well. 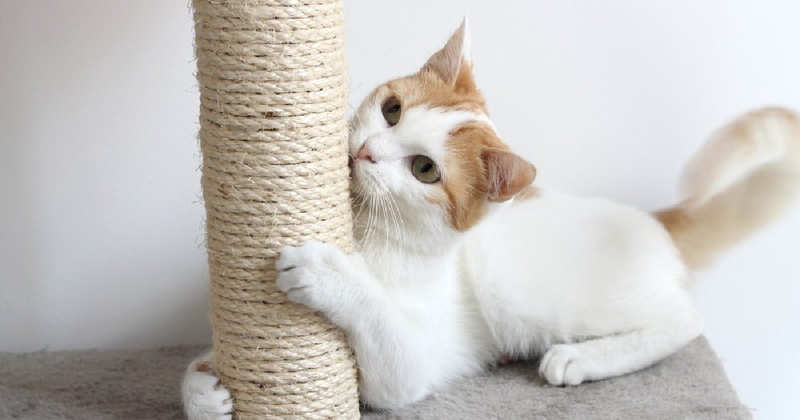 It is designed to outlast scratching and any attempt to rip into shreds. The pack is either small 2-pack or Large 2-pack, but one mat is smaller than the other. The smaller litter mat is shaped like a cat paw. You can easily clean this beautiful litter mat that comes in a beige color. Simply vacuum, sweep up and shake out all trapped litter or dirt. Wash with cold water and air dry. There is a two-year limited warranty with this purchase. 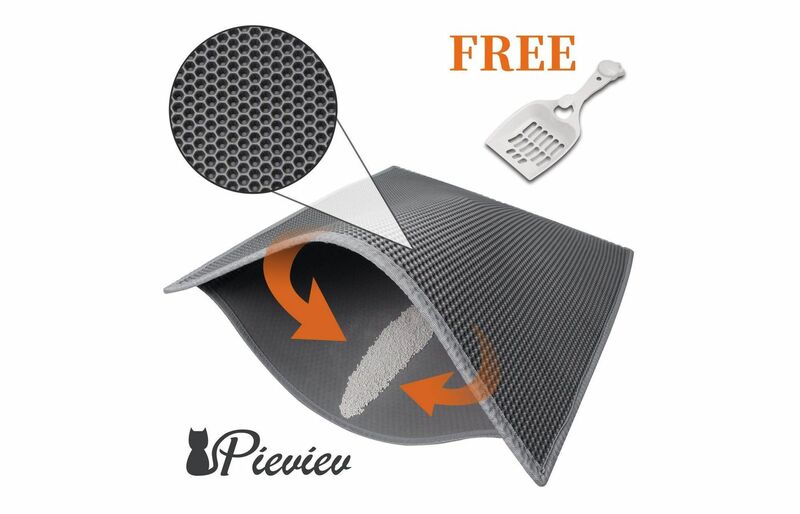 This is a cat litter mat that works because it is designed with a double layer honeycomb design. The cat litter on the upper layer of the mat will go through the holes above, down to the bottom layer where the cat litter will be trapped. It makes for a great litter catcher mat. This design works well with large cat litter boxes, metal litter boxes and sifting litter boxes. It is a Jumbo size that can cover large areas and prevent littering. Waterproof and Urine proof layer is one of the features of this cat litter mat. The layer prevents any liquid from passing through. Your floors and hardwood, carpets are protected. Also, the EVA material is soft and phthalate free making it ideal for sensitive cat paws. You can also enjoy a 100% money back guarantee. Wash with water or vacuum and simply blow dry to save time. 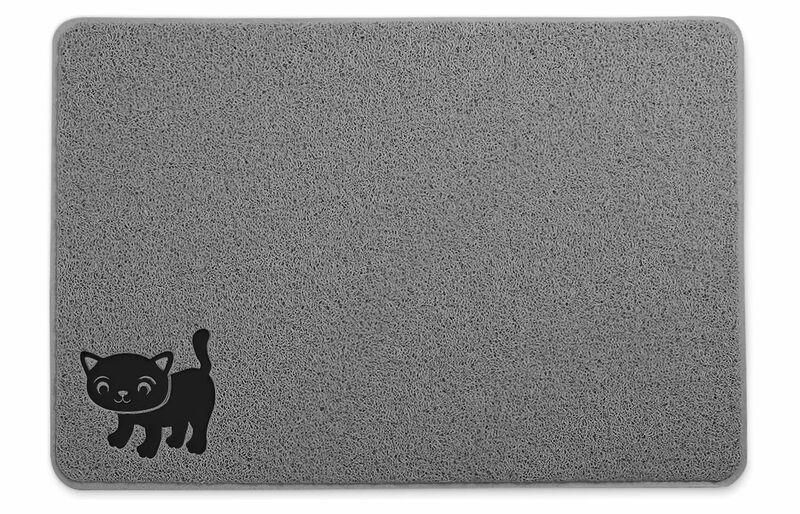 Tough grip indeed, this cat litter mat resists water and stains thereby ensuring ultimate cleanliness and durability. The litter mat is designed with elevated ridges and a raised outer lip which traps the litter in the mat. 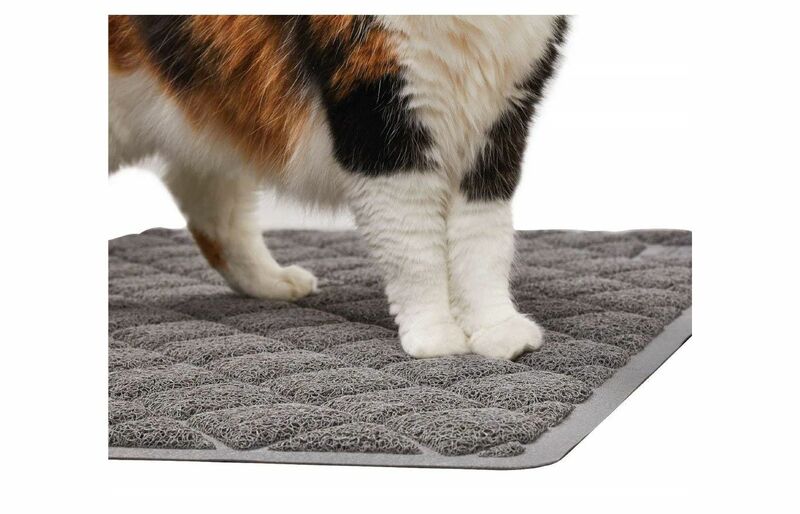 The surface of this cat litter tracking mat is durable and comfortable for your cat to walk on. When it is time to clean, you simply fold the mat and pour the litter back into the box. 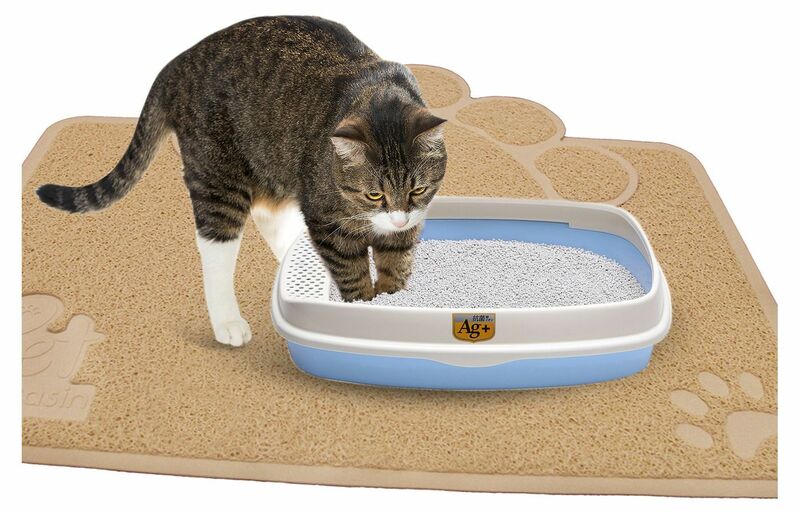 This cat litter mat is made of a hygienic FDA grade silicone of the premium standard. The convenient side spout helps to easily pour the litter back without making a mess on the floor. You may choose to use broom, sponge clean or vacuum, you have flexible options. Other advantages you enjoy is the waterproof and anti-microbial properties. Also, there is an anti-slip traction keeping you and your cat safe. You have access to a one year warranty with this purchase. If you love sponges, you will love this cat litter mat. It works like a giant sponge that uses microfiber strands to pull any excess litter from the cat paws or on the floor. This is a litter rug that is constructed with a double blasting and even stitching which makes it rugged and long-lasting. Unlike other cat litter mat with a GSM (i.e Grams Per Square Meter) absorption rate of between 900 to 1500, this Smart Cat litter mat has an absorption rate of 3000. 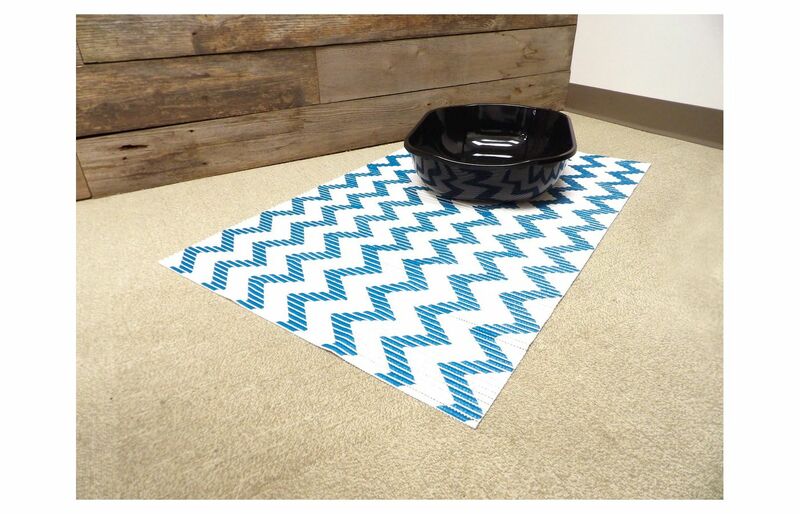 In addition, the microfiber strands dry faster than another litter mat, five times more. This cat litter mat works with a heavy Gripper Non-Skid that prevents any sudden movement or skidding. It is important to mention that, the microfiber strands can absorb dirt and water up to 15 times its weight. It can fit under most standard litter boxes, water, and food bowls. The litter mat can be machine washed or shaken off physically. This is a heavyweight cat litter mat that has a litter lock mesh technology. That ensures no litter is found on the floor. It is made of a durable material that will last for a long time. The mesh is also designed for sensitive cat paws because it is soft. 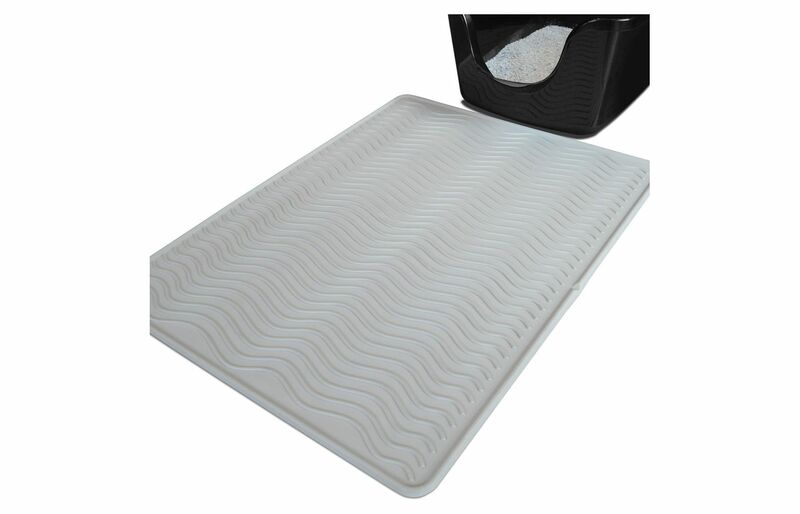 Your cat will be comfortable walking on it with no fear of slipping because of the non-slip backing. Furthermore, you can easily vacuum the cat litter rug. If you prefer, you can shake off the litter as well. This is a litter tray mat that can also serve as a food mat. 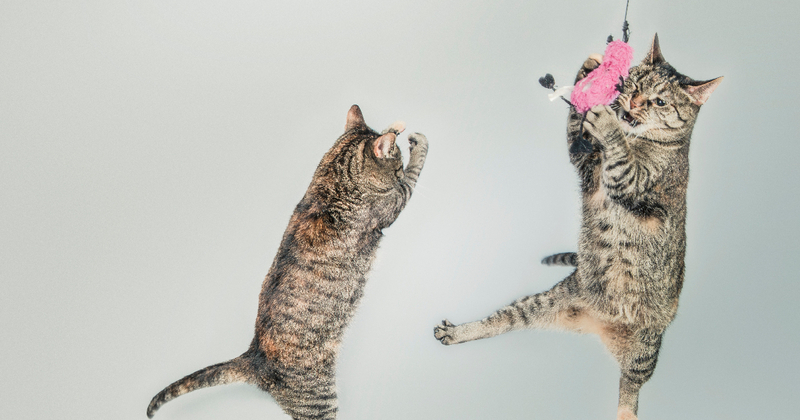 The phthalate free, non-toxic PVC is safe for your kitties. Another feature of this cat litter that works is that it is waterproof. You enjoy a 100% money back guarantee with this purchase. This is an extra durable cat litter rug that can be used by both clawed or declawed. It is a thick litter mat that has a ⅓ thickness. It is designed to keep your floors and your cat paws free of litter. You can pick from seven color options, giving your wide variety to pick from to match your internal decor. 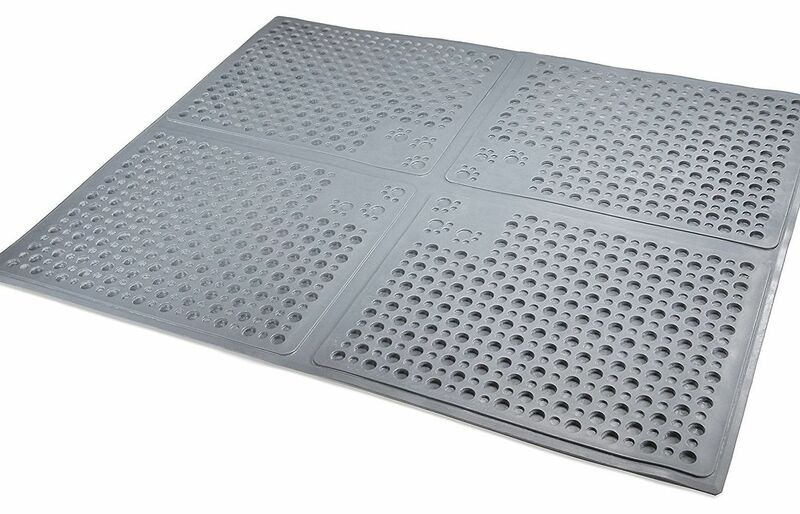 This is one high-quality mat with advanced features of deep grooves and superior mesh. The backing of this cat litter rug is slip-resistant that helps prevent a falling accident. The material is also soft and comfortable to walk on. It will interest you to know that this cat litter tracker is phthalate free. Simply shake out the litter, you can also vacuum, rinse down or soap up the mat. Dry in the sun and it is ready to use again. This litter mat will make your cat look forward to litter time. After potty breaks, your cat will love to step on the springy foam of this litter catcher. 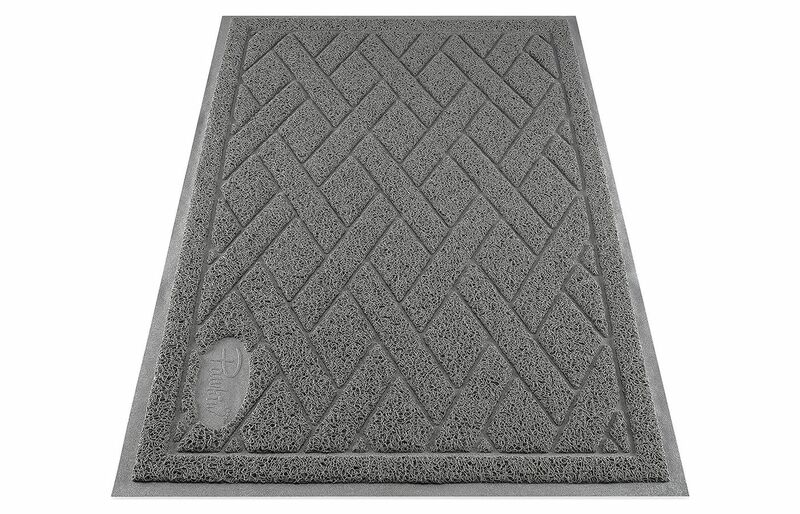 This is a stylish litter mat with a ribbed surface designed to trap any escaped litter. Your cat’s paws will not be irritated by the litter mat surface. It is the ideal litter cat mat for sensitive paws. This is the jumbo size that can cover a large area around the litter box. This is one big cat litter trapper. It is designed with holes that trap litter from your cat paws and cat litter box. The holes are 20% bigger than other cat litter mats. It is perfect for a multiple cat household. And very messy cats that are prone to accidents outside the litter box. In addition, it has an original plastic film that repels urine. Your cat will walk on this litter rug without feeling weird on her pays because it has a smooth surface. It is recommended to use Puppy pads for kittens or sick cats that have accidents often. Urine should not be found at the perimeter where a nylon mesh exists because it may not be able to soak the urine up. Furthermore, the EZ open edge allows you to dispose of litter easily. To clean the mat, just dunk it under a shower head or sink head. This is a high-quality cat litter catcher that can last a long time. It is durable and heavy. The weight will ensure that your cat can’t rip it apart. Also, it has a deeper loofah which collects more cat litter. 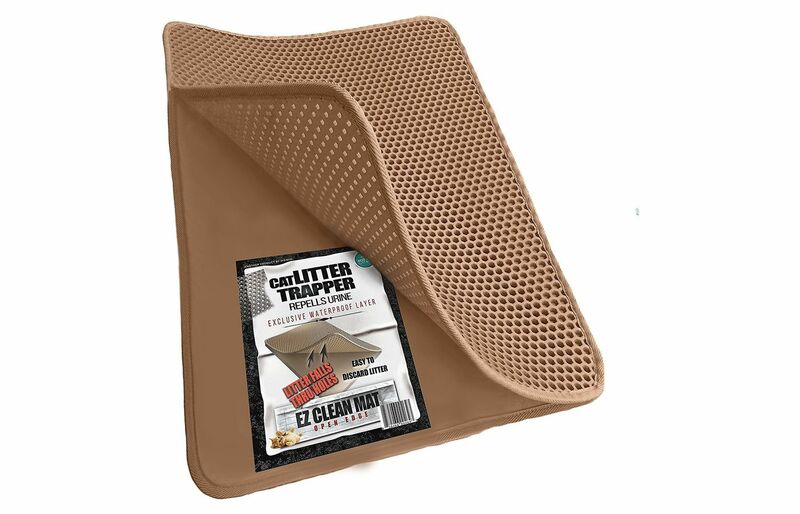 The cat litter mat comes in varying muted shades that are ideal for a litter trapper. They include gray, brown, tan and black colors. This cat litter has a urine-proof layer. So when your cat accidentally urinates outside the litterbox, you can rest easy knowing that the laminated bottom will keep the urine from soaking your floors and stinking up the whole house. Also, the bottom is slip-proof, the mat can’t slide around. You can easily clean the litter mat by vacuuming, shaking, scrubbing or spot cleaning as you will. The material used in making it ensures that is damage proof. The cat litter nat is not harmful to your cats because it is BPA and Phthalate free. Unlike other cat litter mats, this one has a patented design that forces your cat's paws to spread while they walk on the litter mat. This allows every litter to be collected from their paws and as such prevent tracking. No stray litter on the floors or another part of the house. The design features many deep hollows that serve as litter trapper. This is a medium-sized cat litter mat that can fit into smaller spaces. However, you have the option of two other sizes to pick from- large or extra large. The material used to make this litter catcher, allows it to be flexible and easy to clean. All you need is to pour trapper cat litter back into the pan and rinse mat with warm soapy water. After washing, simply aid dry. In addition, you can use it as a placemat under food and water bowls when necessary. Would this cat litter mat work with a large litter size? 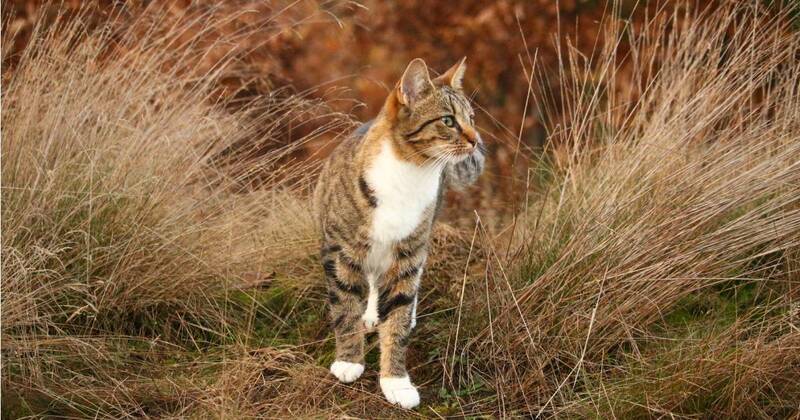 Cat litters are of different types from clay, corn, clumping, wheat, pellets to crystals which also means varying sizes. As a result, cat litter mats are designed to be able to collect the cat litters from being tracked from your cat paws and floors. A good cat litter mat should be able to collect, trap and catch any type of litter without creating a mess. Cat litter rugs are not designed for only for a specific litter size or type. If there are any cat litter mat made like that, then it should be specified before you purchase. What is the backing of this litter mat? 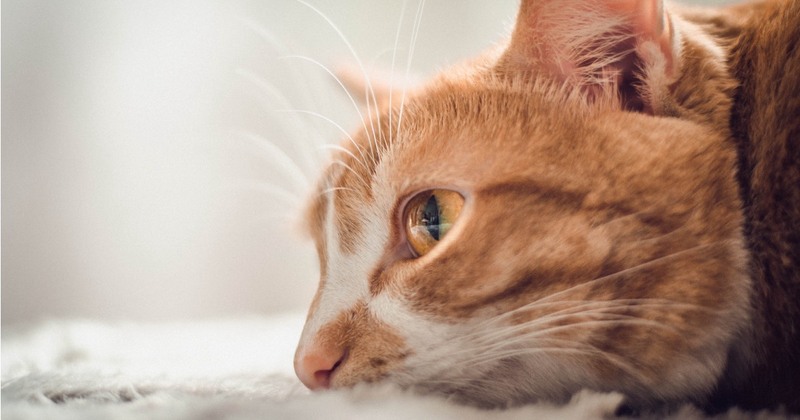 Most cat litter mats have some type of backing, which could be made of any material, including rubber, nylon or vinyl depending on the design and the brand. You could, however, look out for cat litter mats with waterproof and urine proof backings. This will ensure protection for your floors and hardwood in case of an accident. Some cat litters also have anti-slip and slide backings that keep the litter mats stable wherever it is placed. This is also an important feature to have in a great cat litter mat.